My friend and his parents have rental a lot there to sell food, namely Boon Khai Delights under the label of “Rojak” in Food Bazaar. 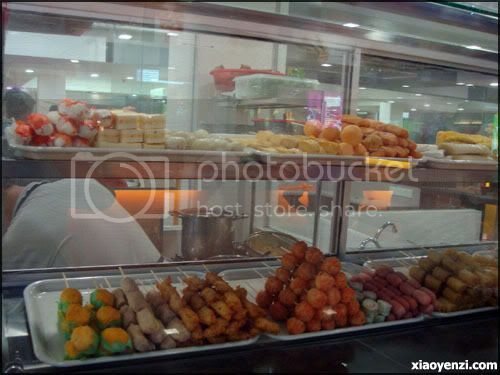 If you feel like eating rojak or delights such as fried snack, this is a definitely a good place. 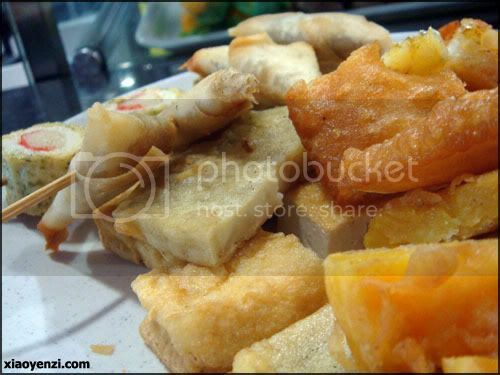 Kuchingites should know the well known Boon Khai rojak and cold drinks cafe which is located near Satok. 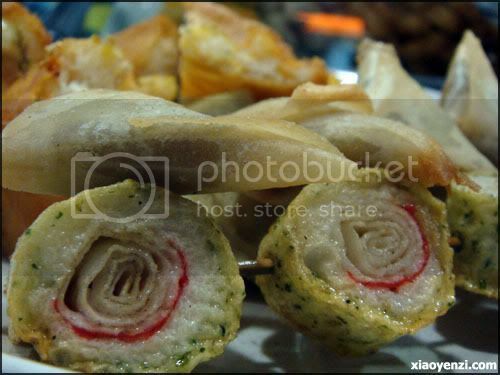 You can choose from a varieties of delicious food. 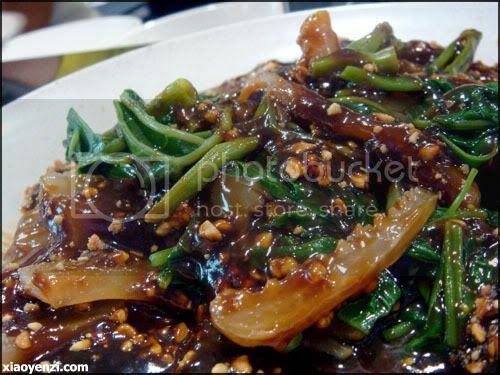 We ordered a plate of Sotong Kangkong (squid), simply delicious. 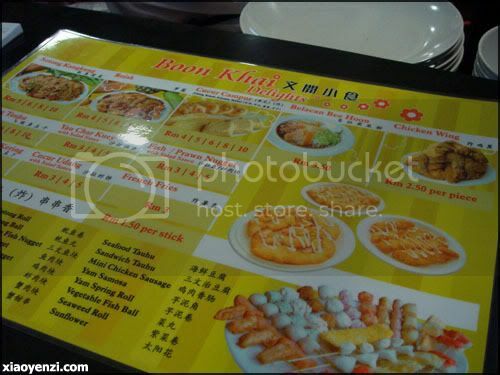 Very delicious, especially the prawn cake. And from the other stall, we ordered some roasted chicken. The price of each food stall varies, I believe most is pricey compared to those we can find outside as the rental is quite expensive there. 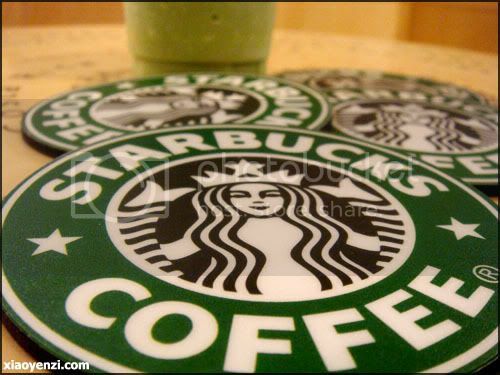 We continue to walk around The Spring, and before leaving, we went to have a drink in Starbucks Coffee. 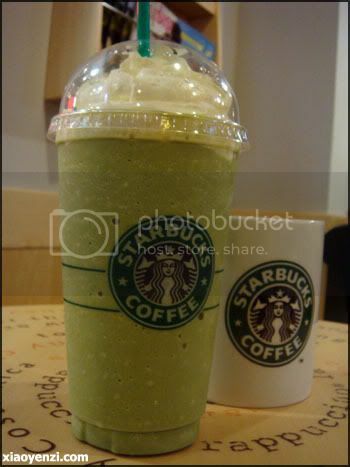 I ordered Green Tea Frappuccino and Orange ordered Caramel Macchiato. Matcha Japanese green tea blended with milk and ice, topped with whipped cream. 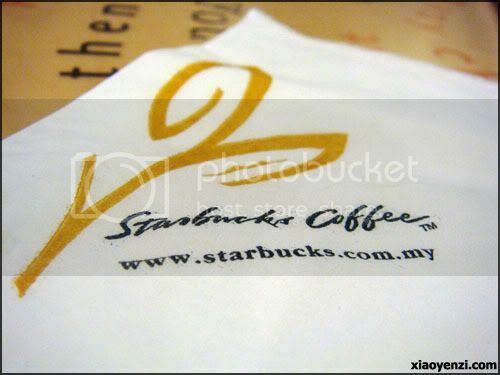 A Starbucks original. Foamed milk marked with espresso and vanilla, then topped with a distinctive caramel pattern. Indulgent, buttery and intense. Updated on 30.12.2014: Boon Khai Delights stall is no longer available at Spring’s Food Bazaar. Wow! All those yummy foods are making me hungry. Thank you so much for visiting, by the way I’m from the Philippines. I hope to see you again. Take care. Oic, thanks for visiting my blog too. 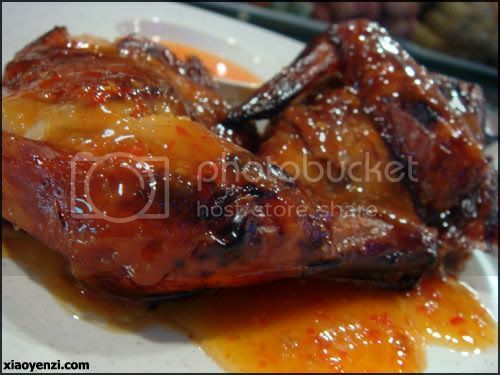 omg.. so delicious… expensive or not? 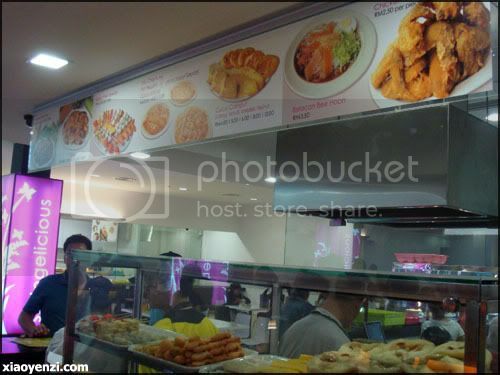 The fried foods have the same price like the one in Jalan Nanas? (forget what road is that, it’s opposite SRK Chung Hua No.4) I think that side, food will be slightly expensive, as they need to cover up their expenses. Haven’t really take a look at other food price. make me hungry… the spring’s food bazaar is really NICE! !